Studiotrope was commissioned by the Pueblo City County Library District to deisgn and impliment their Branch Enhancement Project. The included various upgrades and enhancements to Barkman, Lamb, Pueblo West and Rawlings to improve design, layout and signage. 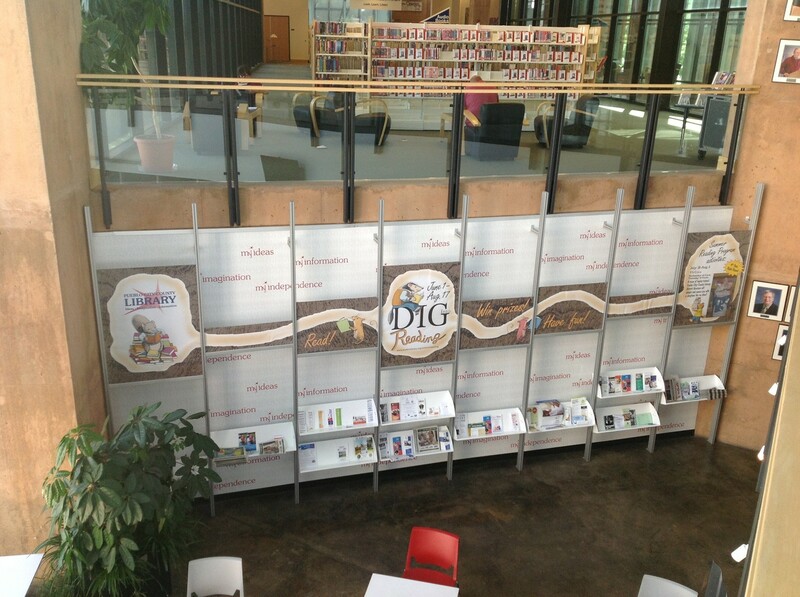 The district’s objective was to utilize retail marketing techniques to highlight library materials in an inviting and delightful manner to attract customers and increase circulation. It was understood that the district was looking to maintain its existing staff without increase while adding three new branches to the district. This was being accomplished by transforming the existing branches into more efficient, self-service oriented facilities by introducing AMH systems, custom designed service points, and a branded "Power Wall" element to cohesively tie the District together. After the branch enhancements were completed, PCCLD hired studiotrope to reconfigure the Rawlings Library’s 3rd floor to include a dedicated teen space and breakdown its large circulation desk and computing area to create a more laptop friendly space. As part of this project, we designed custom service points, integrated Automatic Materials Handling into each branch and designed a branded "Power Wall" graphic to cohesively tie the District together.